I love having tea with me no matter where I go during the day and have bought several tea infuser travel mugs so that I would never be without my tea. All but the last one I bought, anyway. They were all tumblers and thermos bottles that come with a built-in (but usually removable) strainer and twist-on lids. They let you brew and drink your tea on the go. I travel a lot and when I put them in my backpack, they get jostled and inevitably leak from the lid. These are different from regular tea cups with strainers, in that they have sealable lids. This makes them ideal for the road. If the lid does not seal properly, there is no point. I could just get an infuser and use it with any old mug I already have lying around. The good news is: I finally found the best tea tumbler for my purposes. It took a lot of research to narrow down all the available options to only the really good ones. I wanted to give you my list of the 8 best travel tea infuser thermos bottles and tumblers. They all perform as they should, so you can confidently choose the best one for you. I included various styles and colors, so you’ll be able to find exactly what you need. A lot of readers wrote in saying they didn’t want to read through all the reviews and just wanted me to tell them which travel mug is best. That’s why I added this short section. The best mug for the road is ‘The Sacred’ Tumbler. It’s the one I use now. I prefer glass tumblers and this one is made from strong, but lightweight borosilicate glass and comes with a high-quality infuser. It looks great, too. More importantly, the lid seals tightly and the tumbler sells for a great price. 2.8" x 2.8" x 9.5"
2.8" x 2.8" x 8.8"
2.6" x 2.6" x 8.5"
2.7" x 2.7" x 9"
2.5" x 2.5" x 7.5"
The Sacred tea tumbler is a beautifully designed travel flask made from double-wall BPA-free borosilicate glass. It is lightweight, but durable and insulates the contents against the environment, keeping them warm longer. 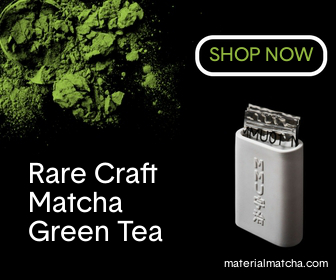 It is great for loose leaf tea, fruit infusions, organic coffee, cocoa or flavored water. The Sacred flask holds 14 ounces. It comes with two leak-proof brushed metal lids (one holds the infuser on the bottom and the other goes covers the opening you drink from) and a a stainless steel infuser. All parts are tested to the highest standards and are free of toxins or harmful plastic, so no chemical smells or flavors leak into your tea. This is the best glass tea tumbler and is beautifully packaged and gift-ready. It even includes a poem. The poem has no effect on the rating, but everything else scores it the highest Let’s Drink Tea rating of any tumbler I reviewed: a 9.8 out of 10 (or a 4.9 out of 5). In case you are unhappy with your purchase for any reason, you can return for a refund and replacement within 30 days. Click below to see the current price on Amazon. Everything is 100% BPA-free and designed for easy access, so it is easy to clean. The interior is stain and odor free so you can use it for any drink you like: tea, coffee, cocoa, etc. It is not dishwasher-safe, though. It fits most standard US car cup holders, making it great for your morning or afternoon commute. In terms of looks, this is the best tea travel mug I considered as part of my review. Moreover, LeafLife is a family-run business and they definitely seem to treat their customers like part of the family, too. They give you a 100% lifetime warranty and let you return the tumbler at any time for a full refund, no questions asked. Click below to see the current price on Amazon. The Zojirushi SM-JTE46PX Travel Mug with tea infuser is made from stainless steel and comes in two colors: deep blue and pink champagne. The exterior finish is gorgeous, but it also means this thermos is not dishwasher safe. That said, the interior has Zojirushi’s easy to clean “Slick Steel” finish. It is easy to clean and resists corrosion and repels stains. The removable tea leaf filter lets you steep your tea directly in the mug. It keeps the loose tea leaves from flowing out when drinking. The compact design takes up minimal space while still holding 16 ounces (or 11 ounces, if you buy the smaller version). Vacuum insulation ensures your beverages stay hot or cold for hours. The wide opening can accomodate ice cubes. The one drawback of this travel thermos is that it is not designed for drinking. You can certainly drink directly from the thermos, but the opening is not ideal for that purpose. When pouring the liquid out into a separate cup for drinking, this is the best tea thermos. Click below to see the current price on Amazon. 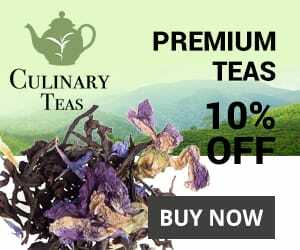 The UEndure travel tea cup is made from double-walled, insulated borosilicate glass and comes with two twist-off lids and a strainer. The lid has some plastic parts, but only metal and silicone come into contact with the liquid. The filter screws into either lid. This travel tea mug with infuser holds 14 ounces, but due to the glass and metal construction, it is the heaviest bottle on this list at 1.5 pounds. The bottle is dishwasher-safe, but the lids and filter are better washed by hand. Some customers have mentioned that the lids need to be sealed quite tightly or else they leak a bit. UEndure do not have a warranty on their product so this may be of concern. That said, the owners have pledged to donate 5% of sales to three causes: autism awareness, childhood cancer and addiction. Click below to see the current price on Amazon. This tumbler from VIBRANT is the perfect travel mug. It can function as a tea infuser bottle, an insulated hot coffee thermos, a cold fruit infused water flask and so much more. This tea thermos with infuser is made from a double-walled vacuum insulated stainless steel that keeps hot liquids hot for up to 12 hours and cold liquids cold for up to 32 hours. It includes a 2-piece strainer and steeper. You can steep tea or remove the steeper and use only the strainer for a quick fruit infusion. All parts are BPA-free, so you don’t have to worry about harmful chemical leeching into your drink. VIBRANT provide a 100% money-back guarantee and a lifetime warranty against manufacturer defects. Click below to see the current price on Amazon. The Tea Traveler from Teas Etc. is the only plastic option on this list. Most plastic mugs are cheaply made and there is always a danger of chemicals leeching from the plastic when it is exposed to hot liquids. I included the Tea Traveler, because it is well-made and uses only 100% BPA-free plastic. The tumbler itself is made from double-walled plastic, to insulate the contents from the environment. The strainer is made from stainless steel and screws onto the top of the bottle, to keep the loose tea leaves inside when you drink from the cup. All parts are dishwasher safe and the lid and bottle can be put into the microwave. Since the strainer is metal, it can not be microwaved. The Tea Traveler holds 12.85 ounces and the lid is watertight, making this the perfect tea travel mug with infuser. Click below to see the current price on Amazon. ‘The Lotus’ is a double-walled glass tea tumbler that comes with a stainless steel infuser and strainer and a bamboo lid. It is adorned with a gorgeous lotus design and beautifully packaged, making it the perfect gift for any tea drinker. The glass is strong, but lightweight. This bottle weight only one pound, which is less than most similarly sized glass bottles. It holds 15 ounces. All materials used are thoroughly tested. They do not leak any harmful materials into your drink and they don’t give off any chemical smells. ‘The Lotus’ is perfect for any drink, from loose leaf tea to fruit infusions to coffee to cocoa to flavored water and more. It comes with a 30-day refund and replacement guarantee, so you can try it out risk-free. Click below to see the current price on Amazon. This multi-use glass bottle from Pijio has a lid with a built-in grip and it comes with a free carabiner, making it even more portable than all the other options on this list. It also comes with a free nylon sleeve that insulates the glass from your hands. The Pijio tea bottle is made from borosilicate glass that is thermal shock resistant, strong and durable. The infuser is stainless-steel and all parts are BPA-free. This is a great travel bottle, but for me there is one big issue, though it probably wouldn’t make a difference for a lot of people. While the infuser is removable, it forms part of the seal with the lid on the bottom. When removed, the bottle can leak a little. This means you have to either leave the tea leaves in the infuser whenever there is tea in the bottle or you have to empty the infuser of leaves, then replace it. Leaving the leaves in is fine for cheaper teas, but I would prefer not to oversteep good tea. Tossing the leaves after each infusion is wasteful, since most good teas will give you several infusions from the same leaves. This does not leave a good option and unfortunately does not make this the best tea infuser travel mug for me. All the other bottles on this list have infusers that are easy to remove and set aside for subsequent steepings. If you don’t see this being an issue for you, then this is a great loose leaf tea travel mug. Click below to see the current price on Amazon. Do you have a link for the 3 piece stainless-steel mug in the cover image? No, unfortunately, that is just a stock image. I actually tried to find a similar mug to review, but couldn’t. At least not with a built-in infuser. What about mugs without infusers and just filters? As far as I know, filter and infuser are the same thing, at least in this context.